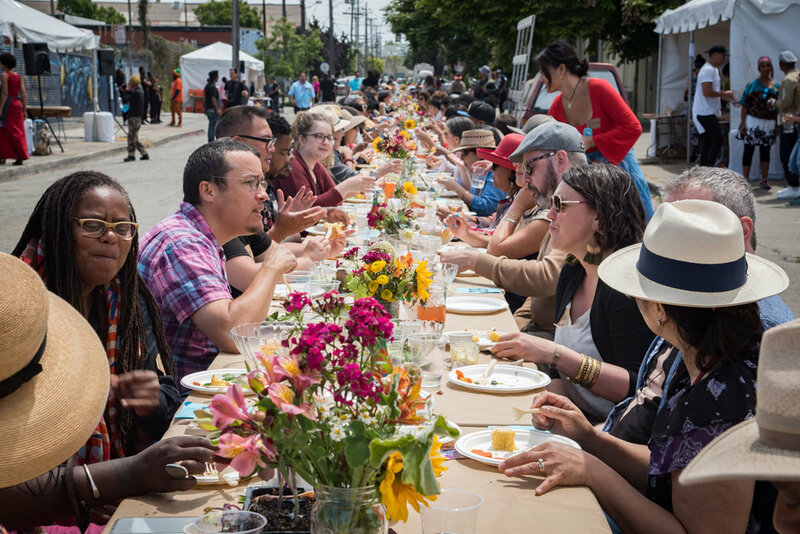 Civil Eats reports on an Oakland-based grassroots organizing group, People's Kitchen Collective, that has been hosting community dinners to facilitate conversations about cultural preservation, movement building, and self-determination. They believe their role is to take an unflinching look at the difficult stories - like revolution, migrations, enslavement, and rebellions - that food can tell us. Their motto: “Feed the mind, nourish the soul, fuel a movement.” They are bringing people to the table to eat, discuss and learn.